What is the Blue Aura X30? The Blue Aura X30 is a powered stereo speaker system with built-in Bluetooth 4.0 for wireless audio streaming. With a 25W amplifier on-board, these discreet, self-contained speakers make a nifty alternative to a soundbar or dock, allowing you to play music or boost TV sound in style. Although the X30 is designed primarily for music, a decent array of connections on the back allows you to hook up your TV or Blu-ray deck and give movie soundtracks a boost, or rig them up to a PC. We’ve reviewed a couple of Blue Aura’s systems before (the Blue Aura WS80i powered speakers and v30 Blackline valve amp music system) and were hugely impressed by their stunning build quality and polished yet powerful sound. Needless to say, we’re hoping for more of the same from the X30. Read more at Trusted Reviews X30. Check out the Blue Aura X10 Bluetooth speaker on Sound and Vision Magazine. The X Series Bluetooth speakers features NFC (Near Field Communication) Bluetooth pairing. Simply place your NFC device on top of the speaker for instant pairing. The X Series also features the APT-X Audio Codec to enhance Bluetooth audio to high performance audio. Blue Aura is a manufacturer and marketer of high performance wireless and wireless ready sound systems and accessories. Blue Aura is pleased that Custom Retailer Magazine has named Blue Aura president, Alex Chiou as a 2013 Young Turk of CE. Chiou is the strength behind the fast growing brand. Founded as the U.S. division of British-based Blue Aura, the company provides premium wireless and wireless ready sound systems and electronics for home, office, and other commercial uses. Chiou has recently added to his Blue Aura duties and co-founded TDG Audio, a new audio brand entering the CEDIA industry. For our Spanish speaking friends, Fox News Latino has written an article about the award winning Blue Aura WS80i high performance wireless speaker system. Please see the link below for the full article. Check out the latest issue of Tell Magazine, Technology for Everyday Life. We are honored to be the featured review on the cover of Tell Magazine. Read the full review on page 44 and 45. Click read more below to see the 2 page article, or visit Tell Magazine website to read about the Blue Aura WS80i and many other cool prdoucts. 2012 CustomRetailer EXC!TE Award Winner!!! Blue Aura is honored to annouce that the WS80i high performance wireless speaker system has won the 2012 Custom Retailer EXC!TE Award. We dedicate this award to all of our supporters. Thank you all!!! Check out what HomeTechTell says what makes the Blue Aura WS80i speaker system so special. Click the link below to hear about great ways to set up the Blue Aura WS80i speakers in your home. "UK-based audio company Blue Aura is making its emergence into the US market and delivers a unique audio offering with the WS80i Wireless Active Loudspeaker System. They look good, and they sound even better." Says Tomas Carstens at Tech Kings. Click the link below to read the full review on Tech Kings. Blue Aura is excited to announce that the WS80i high performance speaker system just received the "Highly Recommended Award" by Stereowise Plus. Jeff Roy of Stereowise Plus says, "I must say I was very impressed with their performance." Check out the full review by clicking on the link below. 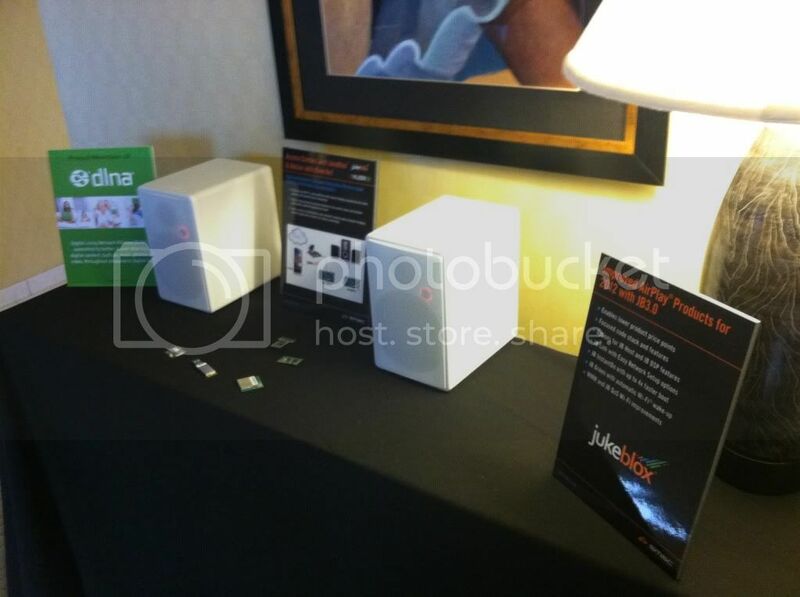 Check out the latest review by Booredatwork.com on the award winning WS80i wireless speaker system. Click the link below to read the full article, which also includes a great video. Thunder E states, "I can safely say these are the best Wireless speaker system on the market." Blue Aura gets ready to launch it's wireless and wireless speaker products at the CEA Line Show in a couple weeks in New York. Read the latest article by TWICE. Get a sneak peek of the v30 Blackline at Table 57. Blue Aura is proud to annouce that the Blue Aura WS80i has just been named the CEA Line Shows Best of Show Awards 2012 Finalist. The winner will be announced at the CEA Line Show in NY this June 27th and 28th. In the New York area? Come check out the WS80i and all of the other high performance Blue Aura speaker systems. Having a hard time finding a Father's Day gift? Blue Aura has been featured in LA Splash Father's Day Technology Gifts - Tech Gift Guide Roundup 2012. Make this year's Father's Day by giving him the Blue Aura WS80i. A great gift for all fathers. Check out the link below for other great gift ideas. Check out our first press release on NewsBlaze. Blue Aura would like to thank SMSC for their great support. The show was a big success for Blue Aura and we look forward to our next show. If you missed our display, please feel free to contact us at info@blueaura-audiio.com for your comments. Come visit us at CES 2012 in Las Vegas, NV. We will have our latest WS80i in demonstration at the SMSC Booth located in the South Hall, Upper Level, Booth #30769. Get the chance to hear the difference and learn more about our products. Blue Aura, Changing the way we listen to music.